Fruity Pebbles Soy Wax Brittle is sweet, yummy and will make you feel like a kid again. You won't believe how much it smells like the delicious breakfast cereal! You will love this delightful blend of juicy orange, ripe berries, tangerine and sweet sugary vanilla. You simply have to smell this one! Our wax melts are made with natural soy and we use only high quality phthalate free fragrances. We use the highest amount of fragrance that is recommended for our wax to ensure you get a nice strong fragrance in any room. 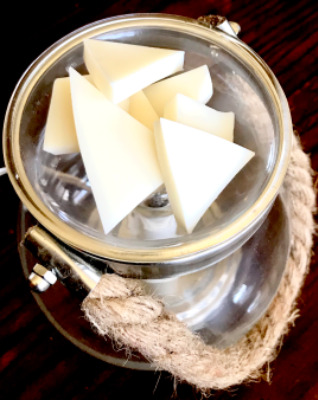 The awesome thing about wax brittle is that you can add a little for a small room or light scent or add a bit more to scent a large space of just because you enjoy a stronger scent! You can even mix different scents to customize your own favorite blend. Each order is 4.40 ounces and comes packaged in a lined Kraft paper bag which helps it maintain its scent and special enough to give as a gift.